Should Sapphire Glass Become the New Standard for Device Display Protection? Sapphire is one of the hardest materials in the world. 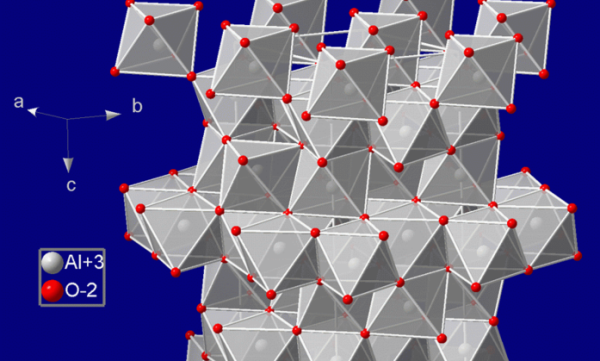 In fact, based on the Mohs scale of mineral hardness, the only mineral harder than it is the diamond. It is also considered as a gemstone so it’s not cheap. That’s why you may find it curious that smartphone makers are not thinking of replacing their display glass protectors with this tough and expensive material. Apple was the first company rumored to be having plans of using Sapphire for their displays. Now, it’s getting more certain that the next generation of iPhones and iPads will be sporting sapphire displays. Last March, Forbes even reported that Apple’s innovations have addressed sapphire’s shortcomings as the company is preparing the manufacture of the iPhone 6. Apparently, Android OEMs have no plans of getting left behind as they are also reportedly planning to use sapphire. At least Samsung and LG are said to be hopping on the sapphire display bandwagon. At present, the leading protective glass used on most mobile devices is Corning’s Gorilla Glass. The DragonTrail Glass from Japan’s Asahi is also being used used by a number of devices but it’s not as popular as the Gorilla Glass. Extreme Toughness – As mentioned earlier, sapphire is very hard. The only other minerals that could scratch it is diamond or another member of the corundum family such as ruby and emery. This hardness results in better scratch resistance and less likelihood of breaking or shattering even when dropped. There are estimates claiming that sapphire glass is three times tougher than Gorilla Glass. Sapphire’s hardness and durability is said to be the main reason why Apple decided to shift to sapphire glass—perhaps, the only compelling reason. The “Sapphire” Marketing Line – Of course, having a display covered by sapphire sounds enticing. It will definitely raise the stakes for Apple’s claim of offering highly premium devices. Sapphire is considered as a gemstone so who needs those swarovski crystals when you have sapphire neatly laid on top of your display? This is not really something many would consider as an advantage although in Apple’s world of marketing, it certainly provides a desirable boost. Heavier than Gorilla Glass – Sapphire glass is around 67% heavier than Gorilla Glass. It’s undeniably heavier than Corning’s product. Thicker – Based on the Corning and sapphire glass products currently available, Corning has the advantage of offering a marginally thinner glass at 0.55 mm. The thinness sapphire glass on the market is around 0.6 mm. However, these data do not take into account the patented and patent-pending innovations Apple has to make the manufacture and cutting of sapphire thinner and more efficient. Higher Cost – Producing sapphire glass costs more in comparison to Gorilla Glass production. According to Corning, the cost could be 10 times higher than what is needed to produce the same amount of Gorilla Glass. Not Environmentally Friendly – The production of sapphire glass is also more power-intensive. 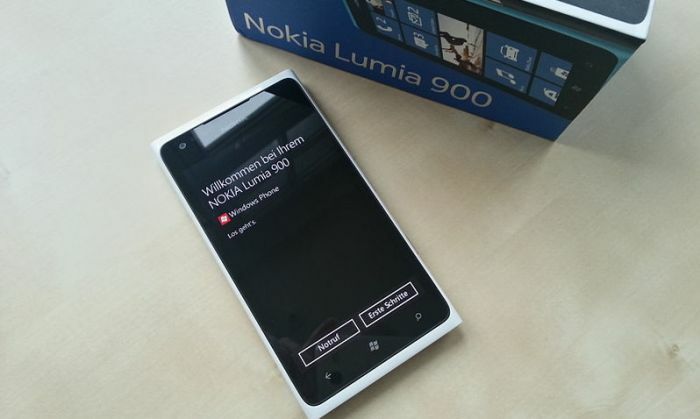 It requires roughly 100 times more power compared to what Gorilla Glass production needs. Less Light Transmission – Corning pointed out that compared to Gorilla Glass, sapphire glass allows less light to pass through, around 6% less according to Corning’s data. Still Breaks – Both Gorilla Glass and sapphire glass are still prone to breaking. 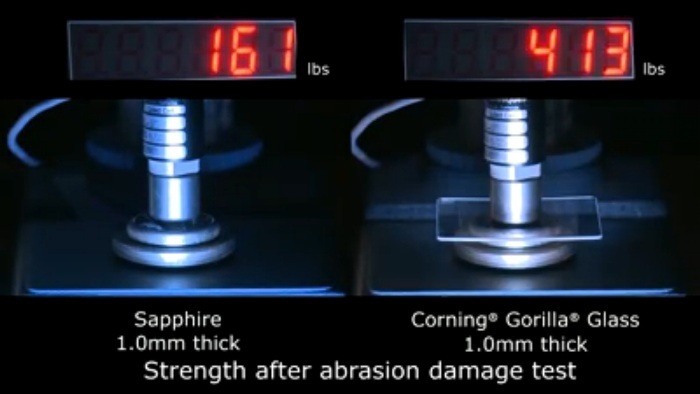 Sapphire may offer greater breakage resistance but Corning’s own durability test findings claim that sapphire may actually break more easily if it has the same thinness as Gorilla Glass’. Taking everything into account, it would appear that the disadvantages outweigh the advantages. However, it’s difficult to come up with a conclusion yet. Considering Apple’s own research into the matter, it’s rather incredible to assume that the company did not take into account all the possible drawbacks. They may have come up with techniques and means to make everything work according to their plan. There have been several reports about Apple’s more efficient and more advanced ways of handling the production of sapphire glass. As such, it would be more prudent to defer judgment on whether or not Apple made the right choice in shifting to sapphire. The most important question, however, is on the possibility of having sapphire glass as the new display protection standard. Should other smartphone and tablet manufacturers follow Apple’s lead? Well, perhaps it’s better to actually see what Apple has come up with first before answering the question. Technology keeps advancing so there could be surprising developments Apple would reveal as it announces the iPhone 6. Moreover, maybe consumers should also feel glad that Apple is focusing on improving the durability of their displays instead of playing the unnecessary display and camera resolution wars.